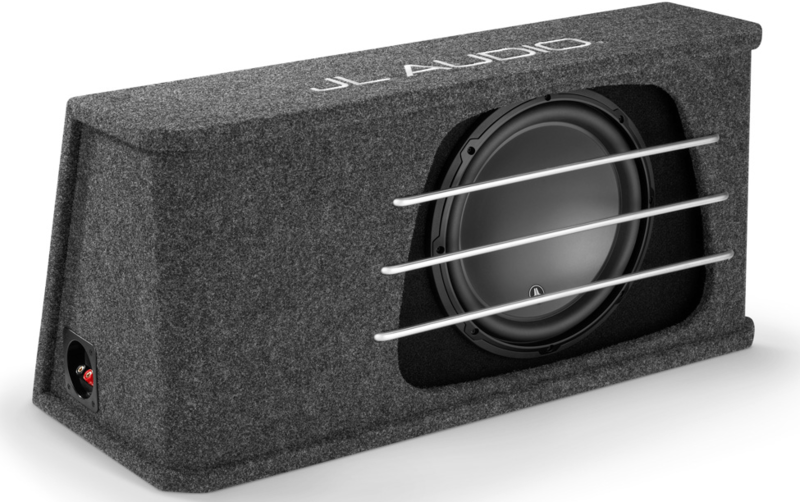 The JL Audio HO112RG-W3v3 is an insanely powerful H.O. 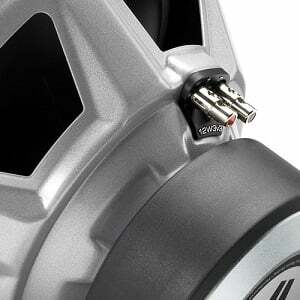 (High Output) system that delivers a very high SPL while retaining excellent sound quality. It uses a patented, chamber-coupled port design to minimize turbulence and maintain excellent sound quality at all listening levels. 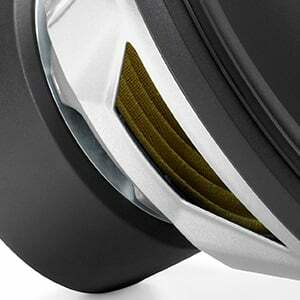 The system also includes a solid aluminum bar grilles for woofer protection. 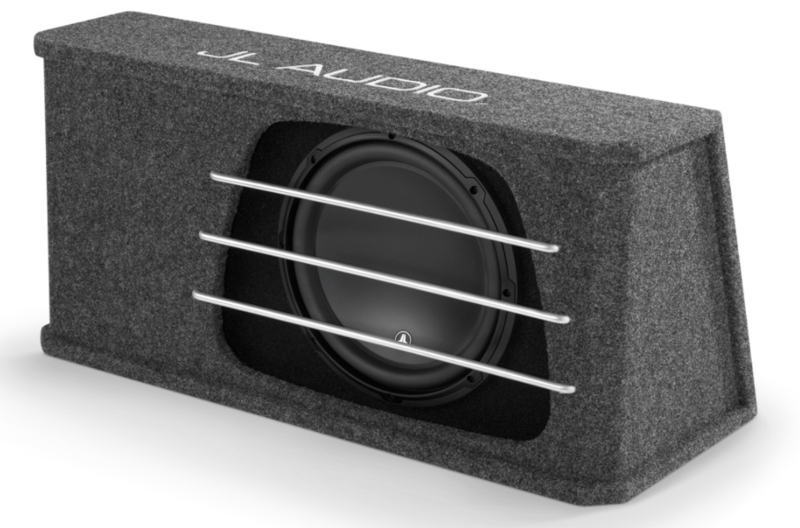 JL Audio’s H.O. systems are designed specifically to provide excellent sound quality and amazing output. You will not be disappointed with a JL H.O. subwoofer system. Loaded with what is easily the best selling subwoofer driver, next to the W6v3, the JL Audio HO112RG-W3v3 provides phenomenal performance at moderate power levels with superb sound quality. The W3 series is in its 3rd iteration, embodying the series’ pursuit for providing outstanding output and world-class sound quality. This is accomplished by utilizing a whole suite of advanced technologies originally developed for JL Audio’s flagship W7. An Elevated Frame Cooling design helps in delivering enhanced power handling and sound quality. The DMA-optimized, long linear excursion capability minimizes distortion and increases output, while multiple patented technologies enhance performance and reliability. Such advances make the v3’s the best sounding, most reliable W3’s yet. 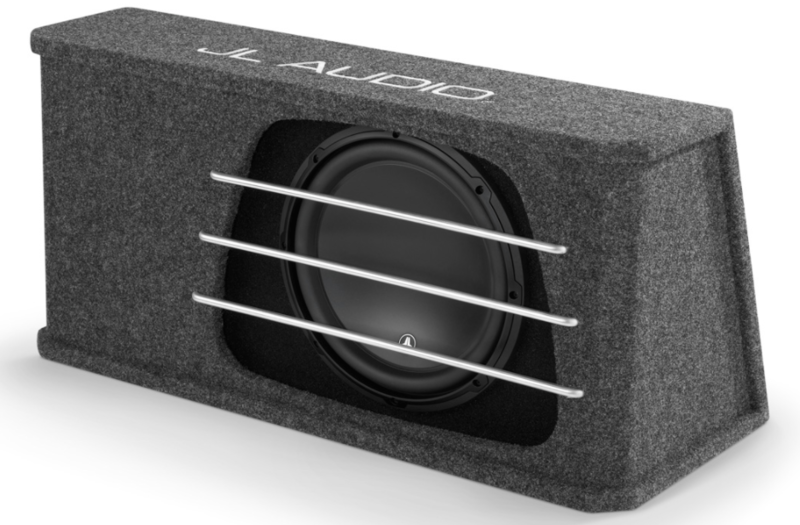 JL Audio’s patented Elevated Frame Cooling design delivers cool air into the heart of the subwoofer in ways no other manufacture’s driver can. Purpose-engineered slots located directly above the top-plate stream air to the voice coil. In addition, the upper surface of the top-plate is directly exposed to this air flow, whereas on a conventional design it is isolated from this flow by the lower flange of the frame. This technology not only increases thermal power handling, but also sound quality by minimizing dynamic parameter shifts and power compression. In plain English, this driver keeps itself cool so you can play your system longer, safer and without having to worry about frying the motor. DMA is JL Audio’s proprietary Dynamic Motor Analysis system and is aimed at improving dynamic motor behavior. As a result of DMA optimization, JL Audio HO112RG-W3v3 motors remain linear in motor force over an extreme range of excursion and also maintain a highly stable fixed magnetic field in the gap over a wide power range. This leads to vastly reduced distortion and faithfully reproduced transients… or put simply: tight, clean, articulate bass. Its main catalyst is the driver’s Ultra-long Voice Coil, that allows extreme linear excursion, phenomenal power handling and control, control, control.